I keep the remainder in a glass jar to use as a base for one or two additional smoothies during the week. I add a banana, yogurt, milk/juice, and anything else that seems good, to those smoothies. Just in time for St. Patrick's Day, which signature is typically more about throwing caution to the wind than amping up health benefits ;-) ... perhaps there's still time in your day to pack in some nutrients, and then go celebrate with reckless abandon. Chances are, Kerry Washington and Blake Lively did just that this morning. 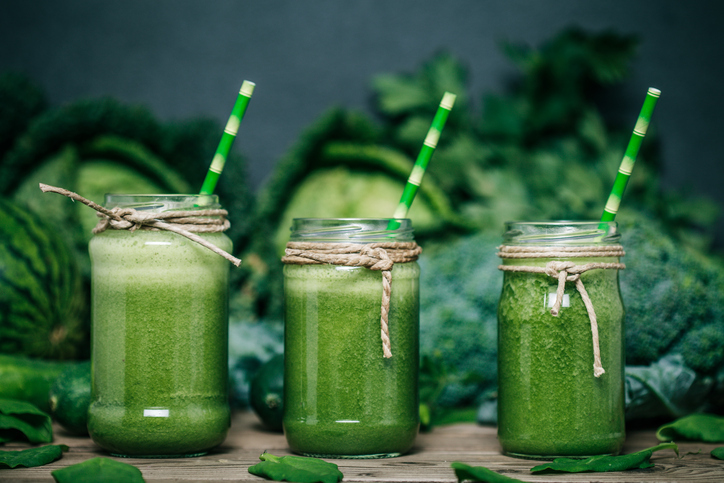 This Green Smoothie recipe, divined by Kimberly Snyder, nutritionist to the stars, has been spotted in popular magazines and online for about the last year, well-deservedly! Admittedly, being she-who-loves-a-healthy-quick-breakfast, it is something I have personally adopted as a habit since the new year began. If you know me, I not only love spotting celebrities, but also spotting where and what they eat. The celebrity appeal wrapped around all this, was something I joyfully extended to university students in Guadalajara earlier this month, and that is my real story. It was an honor to be invited to present a special program for the "gastronomia" students of "Universidad Enrique Diaz de Leon" (UNEDL) during my visit to Guadalajara earlier this month. When it was requested that my topic be celebrity-oriented, the timing was actually perfect, since Hollywood had just hosted the Oscar Awards ("Premios de Oscar") the night before I arrived in Mexico. Being fairly expert with the Green Smoothie, I included my adaptation of this recipe to begin our 3-hour cooking lesson. (Which, by the way, was designed to a T, planned, organized, and presented TOTALMENTE, in Spanish. By me. I speak Spanish now.) I promised the students that when celebrities report that they eat lots of fresh greens to keep their bodies so beautiful, this is probably what they're talking about. In my very best Spanish, I advised that we would also be preparing a classic pasta dish to honor the film BURNT's star Bradley Cooper who apparently grew up making fresh pasta with his Italian grandmother. Something quite possibly got lost in that translation however, as I perhaps inadvertently gave the impression that I know Bradley Cooper. I hated to disappoint my darlings and tell them, "No. I'm so sorry, I do not know Bradley Cooper." Finally we prepared a layered dessert dish that incorporated Speculoos cookies and homemade lemon curd. This was inspired by Oscars Executive Chef Wolfgang Puck's pastry crew, who prepared a "lemon meringue pie pop" and another something with Speculoos cookies. Once again, I'm afraid that my over-zealous description of the Oscars menu and reference to world-renowned Wolfy, gave the impression that I had cooked at the Oscars. Again, I had to apologize for not being nearly that exalted. Yet, I must share that having had to speak well enough to be understood by 60 students, and guide their amazing efforts, compliment their creations ... plus feel my heart swell to overflowing and then some ... was one of the most exhilarating experiences of my entire life. They got to learn at least a little something about the foods celebrities eat, prepare recipes at the orders of a crazy lady (in stiletto heels), and try some new flavors and ingredients. I got to win hearts like never before, hopefully inspiring my new loves to visit LA and experience more of its food culture through our Melting Pot Tours. 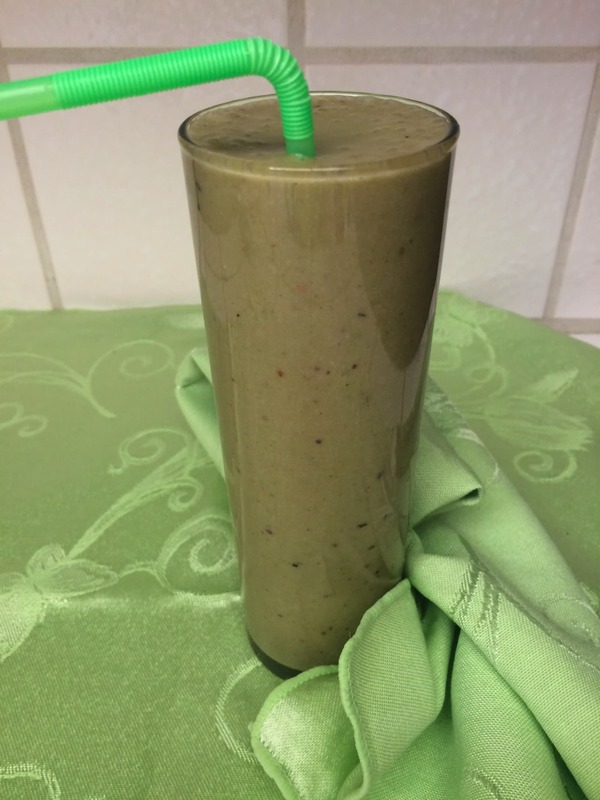 See a collage of photos by one of my beautiful students (above, right) with their exquite renditions of our recipes and, my version of the famous Green Smoothie recipe right here ~ disfruta! (enjoy!) Y, Feliz Dia de Santo Patrick!